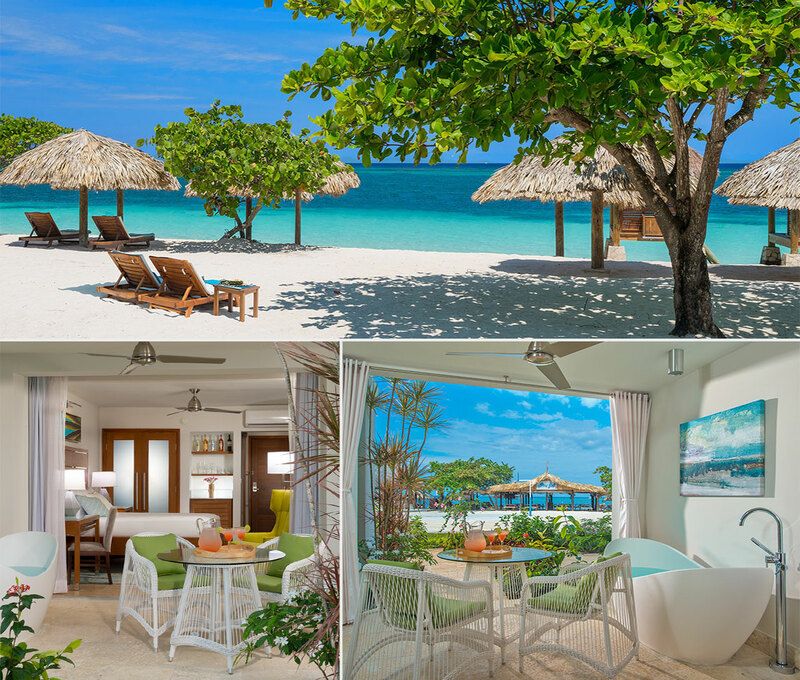 The new Palms building boasts all-new suites that redefine beachfront living – showcasing the very best in island-inspired décor and luxurious amenities. 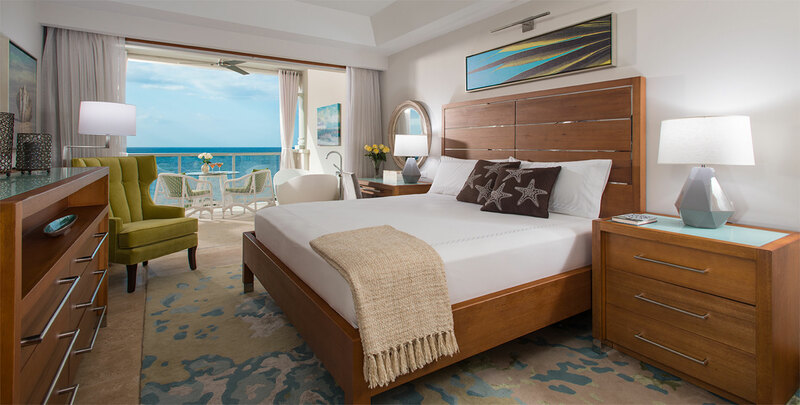 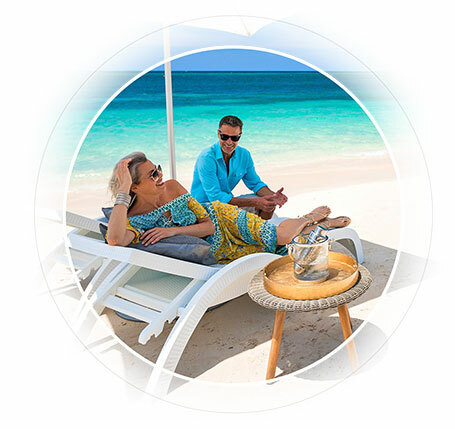 Grand master bedrooms, stylish furnishings, lavish spa-style bathrooms, and over-sized terraces and balconies with private Tranquility Soaking Tubs overlooking serene reef-protected waters create a world centered on true romance. 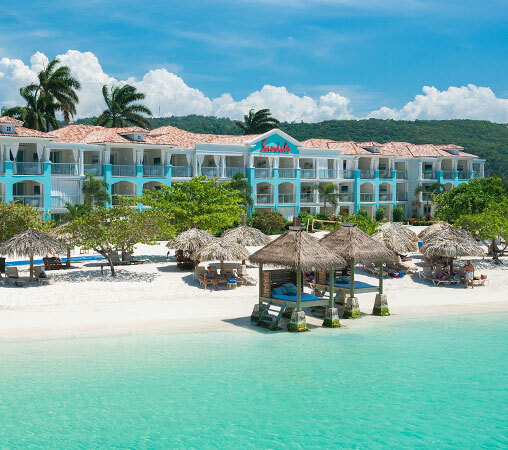 Wake up each morning to the soothing sound of the waves and simply walk out onto Jamaica's finest private beach. 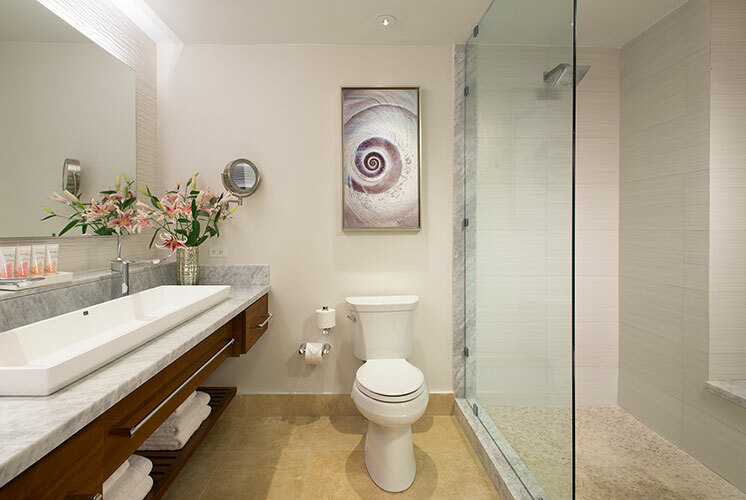 Wall to wall glass doors open up to reveal a spacious patio with a private Tranquility Soaking Tub that faces the calm, reef-protected blue sea. 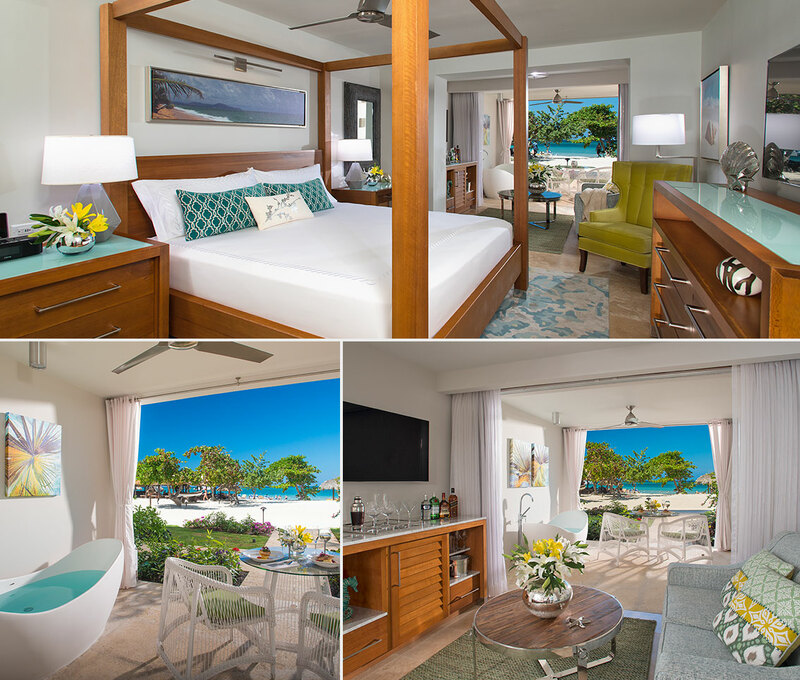 Bringing the beauty of the outside in, the spacious suite welcomes you and the one you love with a custom-crafted, king-size bed, stylish furnishings, and a cozy sitting area to relax.